​years at Celebration Worship Center in Crossville, Alabama. Pastor Godsey’s ministry is the Grace of God and he is devoted to helping others find their place in the Body of Christ. In 2016 God spoke to us that this is the year of the Harvest! Many of our people have received prosperity, some 30, 60, and 100 fold, while others were blessed with children, jobs, healing, and most of all spiritual awakening like they've never experienced. When I was seeking God in 2017 God spoke to me that the Harvest would continue through 2017. We would like for you to come celebrate with us, as God manifests the Harvest we've been waiting on for years. Many have sowed and sowed and do not even realize that you have a harvest on earth as well in Heaven. Receive it in Jesus' name! Mark 10:29-30 And Jesus answered and said, " Verily I say unto you, There is no man that hath left house, or brethren, or sisters, or father, or mother, or wife, or children, or lands, for my sake, and the gospel's, 30. But he shall receive an hundredfold now in this time, houses, and brethren and sisters, and mothers, and children, and lands, with persecutions; and in the world to come eternal life." 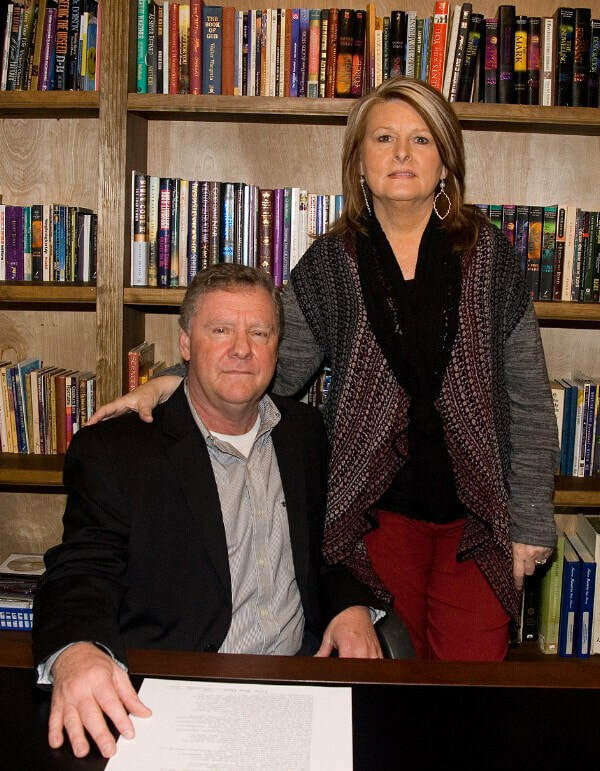 Dillon Jones, son of Jeff and Mary Ann Jones, and Victoria Jones, daughter of Pastors James and Darlene Godsey, are both honored to have grown up and attended school in Lamar County. After graduating high school, they both committed to training for their lifelong dream, ministry. 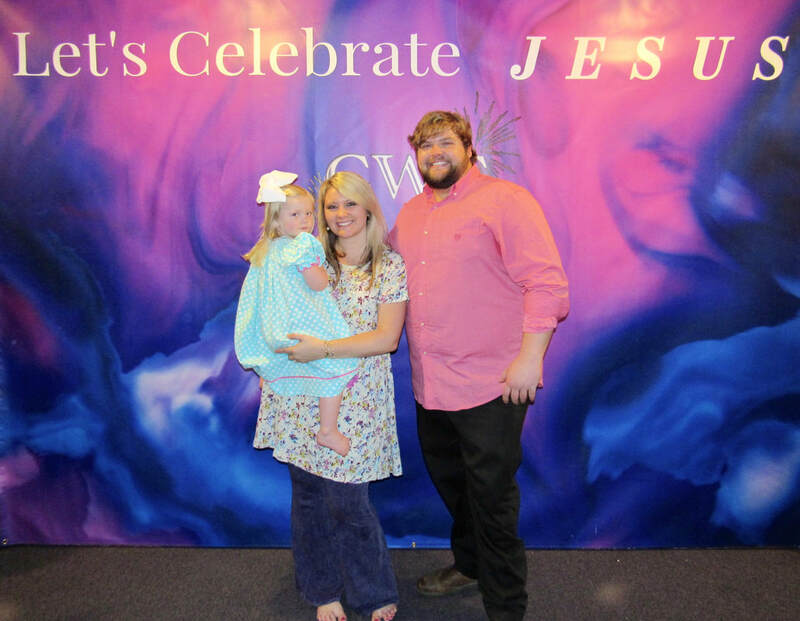 Dillon completed a year of training as pastor at Calvary Worship Center and Victoria graduated college with a teaching degree in elementary education. They also have been trained in ministry in everything from children’s church pastors, van drivers, worship leaders, musicians, Sunday school teachers, sound room workers, and ushers, to just sitting down and being taught the Word of God in four years of Minister’s Class. Dillon and Victoria’s main goal is to see the lost teens of this generation saved, set free by the power of Jesus Christ, and filled with the Holy Spirit. Also, their goal is to accept and love teens right where they’re at, but at the same time to pull out of them their God-given potential through teaching them a relationship with God so they will understand who they are through Jesus Christ. Finally, Dillon and Victoria’s vision for the youth group is for it to grow in passion for Christ and in living for Him, as well as for it to grow in number as the teens reach out to others who need Him. Dillon and Victoria Jones desire to show teens the love of God, to support them in their spiritual life as well as in their academics, sports, and extra curricular activities, and to train them up to do more for God than they ever imagined. Sister Judy was born again in February 1991 at Bethlehem Baptist Church under Pastor Ronnie Elmore. Sis Judy was a member there until April 1996. At this time I started attending Full Gospel Worship Center in Vernon Al. under Pastor James Godsey. She is married to a wonderful man who completely supports her in the ministry that God has called her to. She is the mother of 2 sons 1 daughter and 3 grandchildren. She has complete support of her entire family in which without she could not do in fullness all God has called her to do. She has ministered in many different places across the U.S. including Jamaica, Korea, Trinidad. Susan and her husband Frankie and their two daughters became part of the CWC family in 2007. Together Susan and Frankie have three children in addition to their two daughters, they have an adult son who lives in Ohio. 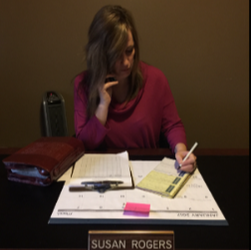 Susan joined our staff as secretary in 2012, claiming the job to be the most rewarding and joyful position of her life. She has over 15 years of office administration. Aside from being secretary Susan enjoys service as the 3-5 year old Sunday school teacher and helping in the nursery. Susan loves helping others anyway that she can.